Android Free App Friday - August 7: Beat the summer heat with FREE apps! It is Friday yet again! I am in denial that the first week of August is behind us, but I will be happy when this triple digit Texas heat wave has passed! With it being way too hot to spend much of any time outside, I have had time to dig and find some fun FREE apps for today's Free App Friday Android edition. Learn about science, get creative, race and explore the universe with these FREE apps! The magic lasts past midnight with all new magical coloring pages featuring Cinderella and all of your favorite Disney Princesses! And of course, if you love this timeless fairytale, don't miss the live-action re-telling of Disney's Cinderella in theaters on March 13. • Create your coloring masterpieces; now featuring Cinderella, Rapunzel, Ariel, Merida, Belle, Jasmine, Aurora, Mulan, Snow White, and Pocahontas! • Dozens of additional coloring pages with your favorite Disney characters from Frozen, Big Hero 6, Cars, and Palace Pets! • Endless combinations of creative tools to play with! • Customize and share your creations! Complete biology app is among the best biology app in the market. It focuses on secondary / high school students, undergraduate students and biology teachers. With more than 35 topics in Biology, students will learn everything they need in preparation for their exams. The app has around eight categories that deal with tutorials, formula, possible exam questions, biology practical and dictionary. From the team at Lumosity, we welcome you to the award-winning LumiKids Park, where children can have fun while using important core skills! Kids will love exploring this interactive park filled with surprises designed to make them giggle and keep them challenged. Create a personal workout plan for your brain and let your mind performance grow. One of the best simple and fun racing games for kids! This free game is made for 2 - 10 years children. Choose your ride and guide it to the finish line! Control your car with just one finger and see how it flips, jumps and rolls on it's way. 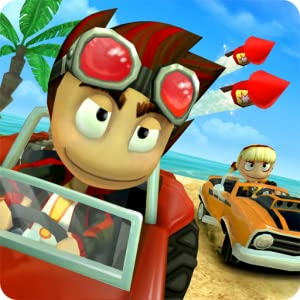 Other racing games become boring for your kid because of hard levels or controls? This is what you were looking for! Kids love PUZZINGO! 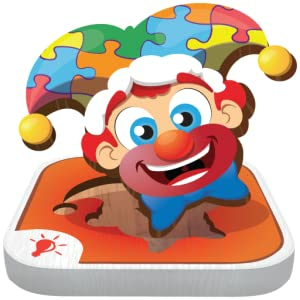 Its puzzles are full of interactivity, animations, and sounds for many repeat plays. In addition, there is a daily preview of new puzzles that your child can look forward to everyday. Besides being entertained, your kid will build vocabulary, memory, and cognitive skills while playing. This tactile game also appeals to young kids and children with special needs. It helps kids develop spatial recognition, matching, tactile, and fine-motor skills. As for you parents, this game is designed to be playable by you and your child together, so you can participate and bond with your child. Best part is, Puzzingo can help your child learn English, UK English, or Chinese! Have fun learning your letters with Gisele, from Gisele’s Big Backyard, and her gooey alphabet soup. Gisele asks players for the first letter of objects she stirs up from her alphabet bowl. 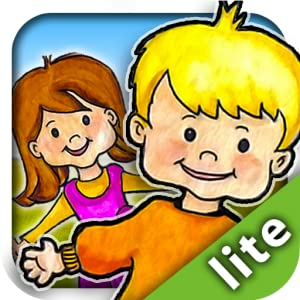 This is a phonics based game and it helps your child recognize and match letters of the alphabet, one of the skills necessary for learning to read. This game is designed for children ages 2 - 5. 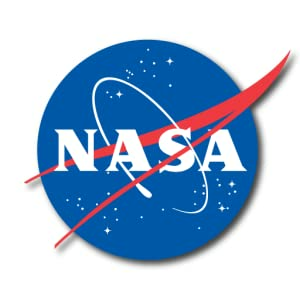 Come explore with NASA and discover the latest images, videos, mission information, news, feature stories, tweets, NASA TV, featured content and much more with the NASA App for Kindle Fire. Rachel H lost her first FitBit step challenge with friends. It's too hot to move.